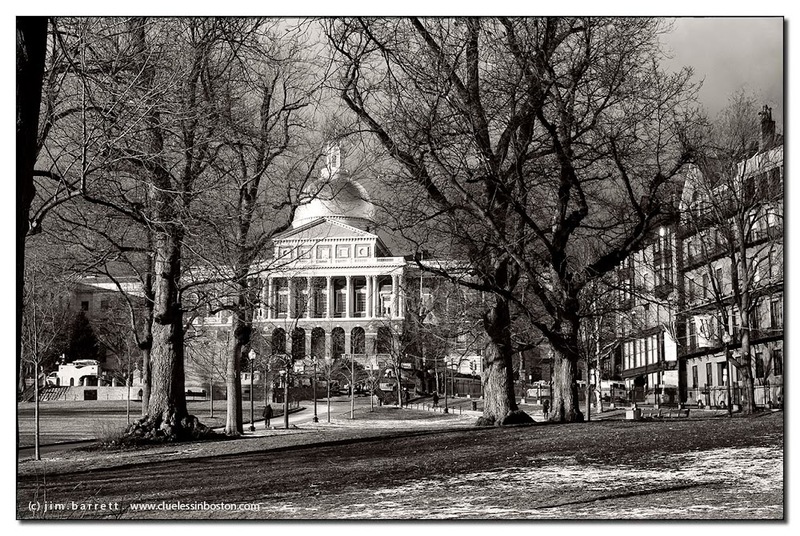 Quite a different perspective of the Statehouse with the trees of The Common in the foreground. This photo had me searching to see if I could find the back of the St Gaudins 54th Regiment plaque, and it made me remember that for a very short time in the 80s there was an Au Bon Pain on the corner of Park and Beacon. It has been 7 years since I last visited Boston -- thank you for the photos! What a fabulous light ! and what a mood! i LOVE ths picture ! How did you get that shot? Amazing! This is a fabulous shot, so great in monochrome! Your other blog shots are just as awesome!